What do you do when you have a few stalks of rhubarb in your fridge and a case of mangoes you bought on sale? Make muffins of course! 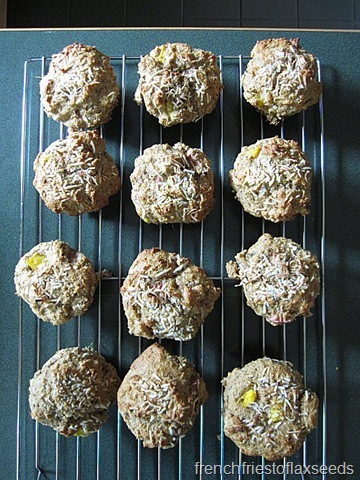 These moist muffins are flecked with jewel toned bits of tart pink rhubarb and sweet juicy mango. 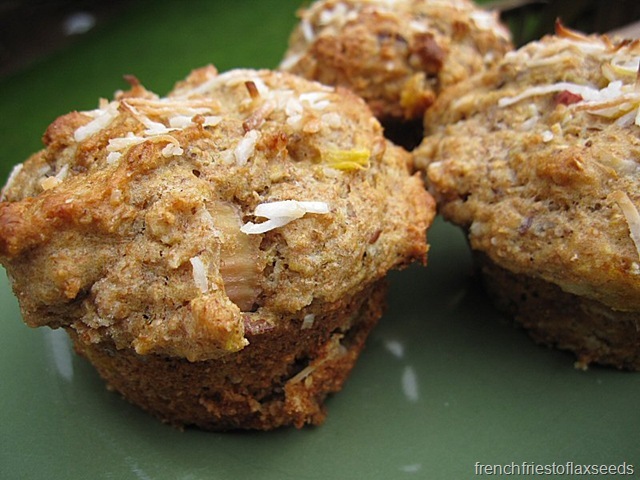 The coconut adds a taste of the tropics to make a satisfying afternoon snack, or part of a healthy breakfast. 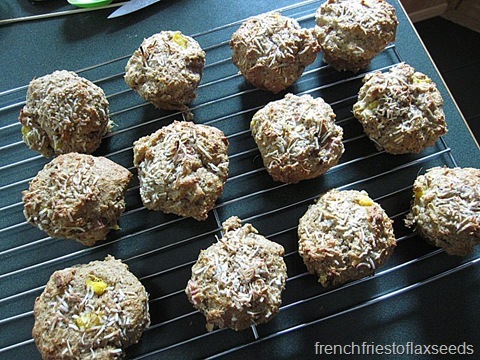 Preheat oven to 400 degrees F. Spray muffin tin with oil or cooking spray (or use muffin liners). Combine flax seed and milk and set aside. Combine whole wheat flour, wheat germ, brown sugar, coconut, baking powder, baking soda, and salt in a large bowl until blended. Add rhubarb and mango, and coat with dry mixture. Add coconut oil, Greek yogurt, and vanilla to flax seed and milk mixture, stirring to combine. Add the wet ingredients to the dry, and mix until just combined – some lumps are okay. Divide mixture between muffin tins. 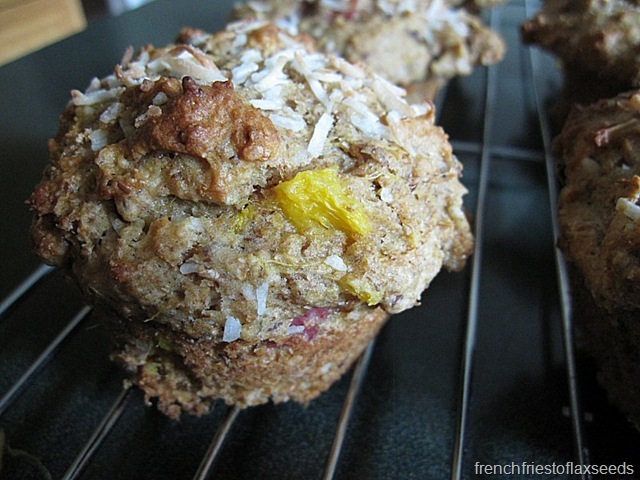 Top with extra shredded coconut if desired. Bake 15 – 18 min, or until golden brown. thanks for the grad school advice too, Marianne!! Rhubarb is seriously underrated, the world needs more posts on rhubarb.